Magic Bullet: Magic Bullet 13 - Cover! Magic Bullet 13 - Cover! 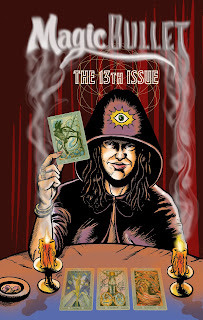 Excited to post the cover for Magic Bullet 13, by longtime contributor Dale Rawlings! Look for it to be hitting the streets of DC, starting on Saturday, August 13. That's right ... Magic Bullet 13, on the 13th!